President Trump and the Kremlin have denied allegations that Russia and the Trump campaign colluded in the 2016 presidential election – but the probe into Russia’s meddling is forging ahead. A special counsel was appointed to investigate potential wrongdoing, and the team has already brought multiple charges against people associated with the presidential campaign. Read on for a breakdown of what has happened in the Russia investigation thus far and what it means for the administration. What exactly is being investigated? Multiple investigators are looking into just how wide the scope of Russia’s involvement in the 2016 presidential election is and if the foreign nation had any interaction with the Trump campaign. Investigators are also looking at the financial ties between some Trump associates and the Kremlin. Who is in charge of the investigations? Robert Mueller was tasked to lead the Justice Department’s investigation into Russian interference in the 2016 presidential election. Multiple congressional committees have launched probes into Russia’s attempts to influence the election. And the Department of Justice appointed Robert Mueller as its special counsel overseeing its investigation in May. Mueller was appointed after Attorney General Jeff Sessions, who was the first Republican senator to endorse Trump, recused himself from the investigation. His appointment also followed a growing Democratic outcry for someone outside the Justice Department to handle the probe. Has anyone been charged yet? Paul Manafort is one of President Trump’s former campaign officials who has been charged in Special Counsel Robert Mueller’s probe. Mueller’s investigation has led to multiple charges – although none are directly related to misconduct from the campaign. Paul Manafort and his associate, Richard Gates, turned themselves over to federal authorities in October and were hit with a 12-count indictment – with charges ranging from conspiracy against the U.S. to conspiracy to launder money. Nearly four months later, in February, the pair was hit with additional tax evasion and bank fraud charges. The new indictment involved much of the same conduct Manafort and Gates were already charged with, but the the amount of money Manafort is accused of laundering through offshore accounts was increased to $30 million. Manafort was hit with another indictment, accusing him of secretly paying former European politicians to lobby on behalf of Ukraine. Gates pleaded guilty to federal conspiracy and false-statements charges on Feb. 23. 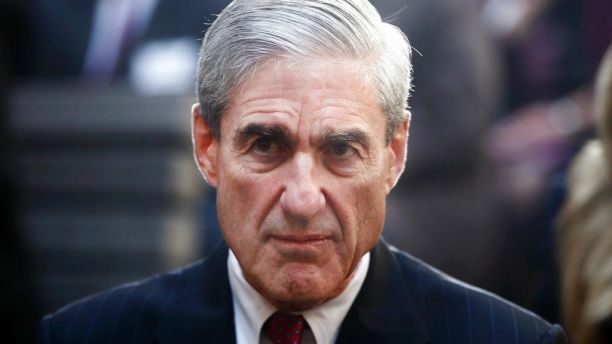 In wake of the guilty plea, Mueller moved to drop the 22 bank and tax fraud charges against him. The decision to drop the more expansive charges against Gates could suggest that the former Trump campaign official is cooperating and providing good information to Mueller’s team. As special counsel, Mueller took over the criminal investigation into Manafort’s financial dealings dating back prior to the election. 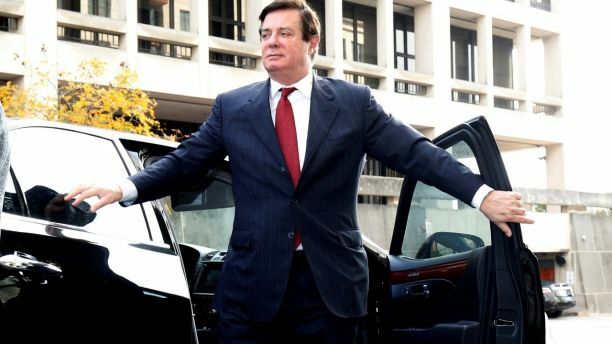 Manafort worked for controversial former Ukrainian President Viktor Yanukovych, a pro-Russia politician who was ousted from power twice, and Russian billionaire Oleg Deripaska. In 2005, Manafort came up with a plan to influence U.S. politics, business dealings and the media in order to “greatly benefit the Putin Government,” according to The Associated Press. Manafort joined Trump’s campaign ahead of the Republican National Convention to help wrangle delegates before becoming the campaign chairman. He resigned in August 2016. Trump’s former national security adviser, Michael Flynn, has also been charged in connection with Mueller’s probe. 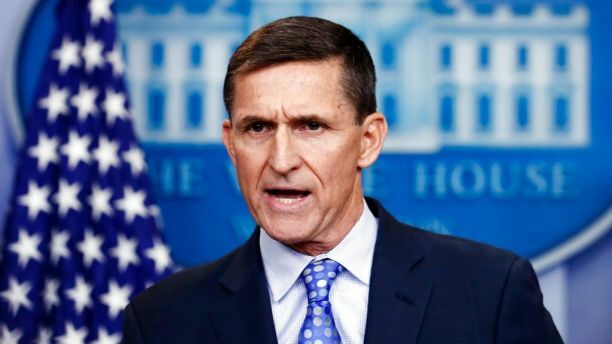 Flynn pleaded guilty in December to one charge of lying to the FBI – reportedly about his talks with a Russian ambassador. Then-National Security Adviser Michael Flynn speaks during a White House press briefing. Flynn was Trump’s national security adviser for a short time, but his connection to the White House was rife with controversy that still bedevils the administration. Flynn resigned after less than a month in the position. At issue was his contact with Moscow’s ambassador to Washington. Flynn and the Russian appear to have discussed U.S. sanctions on Russia late in 2016, raising questions about whether he was freelancing on foreign policy while former President Barack Obama was still in office and whether he misled Trump officials about the communications. Additionally, George Papadopoulos, a former foreign policy adviser to Trump’s campaign, pleaded guilty in 2017 to making false statements to the FBI about his connections with Russian officials. During his time on the campaign, Papadopoulos attempted to set up meetings between campaign officials and Russians on numerous occasions. He also interacted with a professor “understood to have substantial connections to Russian government officials” who told Papadopoulos that the Russians had “dirt” on Hillary Clinton, according to court documents released by Special Counsel Robert Mueller’s office. Alex van der Zwaan, an attorney who allegedly lied to investigators in the Russia inquiry, was charged in federal court in February and pleaded guilty. According to charging documents, van der Zwaan was employed by a law firm hired by the Ukraine Ministry of Justice in 2012. He admitted to lying to investigators about his interactions with Gates. Richard Pinedo, a California man who sold bank accounts to Russians meddling in the election, pleaded guilty in February to using stolen identities to set up the accounts. The U.S. government said Pinedo was not aware he was dealing with Russians when he sold the accounts, however. Additionally, 13 Russian nationals and three Russian entities were indicted by a federal grand jury for allegedly interfering in the election. Mueller’s case alleges those involved had a sophisticated plot to wage “information warfare” on the U.S. However, the Justice Department did not say if the actions had an impact on the outcome of the election. Does anyone else on Trump’s team have connections to Russians or the investigation? Donald Trump Jr., the president’s oldest son, took a meeting with a Russian lawyer during the campaign. She was supposed to have damning information about Hillary Clinton. 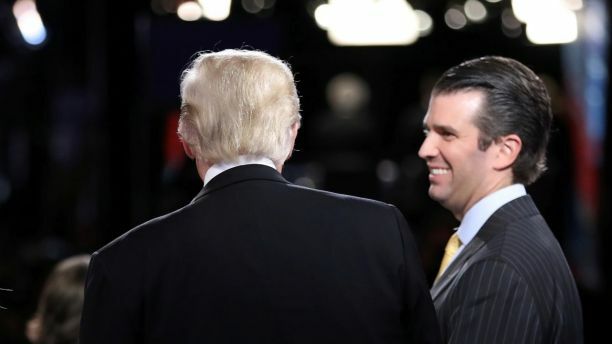 Donald Jr., the president’s oldest son, got the administration into some hot water when it was revealed that he took a meeting with a Russian lawyer during the campaign who was supposed to have damning information about Clinton. Trump Jr. maintained that the lawyer, Natalia Veselnitskaya, did not have any information to share and instead wanted to discuss the Magnitsky Act and other sanctions. Manafort and Jared Kushner, the president’s son-in-law, were also at the meeting. Jared Kushner, who is married to Trump’s daughter Ivanka, has been under FBI scrutiny as well. Kushner, too, has been under FBI scrutiny. Married to Ivanka, the president’s daughter, Kushner may possess substantial information relevant to the investigation, officials have said. 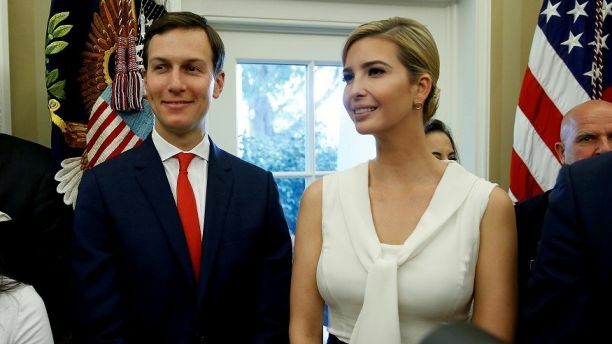 Although he has denied colluding with Russians or knowing of anyone who did, Kushner has had private meetings with lawmakers on Capitol Hill to discuss the controversial encounter with Veselnitskya, which occurred in the summer of 2016. Lawmakers on both sides of the aisle have accused him of not being forthcoming in the information divulged. Steve Bannon, Trump’s former White House chief strategist, agreed to meet with Mueller as part of his investigation, potentially avoiding appearing under subpoena in front of a grand jury. And Sessions has already met with Mueller, becoming the highest-ranking administration official thus far to have submitted to questioning. Trump has said he is “looking forward” to being questioned by Mueller under oath regarding the investigation. Aside from his associates’ connections to Russians, the president has also found himself under scrutiny for certain interactions in office. Trump sacked FBI Director James Comey on May 9, 2017 – less than two months after Comey publicly proclaimed the agency was investigating ties between Russia and Trump’s campaign. The White House maintained Comey was let go due to his handling of an investigation into Clinton’s private email server used during her tenure as secretary of state. But Trump has suggested that he considered the Russian investigation when he fired Comey. Comey also told a Senate intelligence committee that Trump had asked for the FBI to drop its investigation into Flynn; the White House said Trump was not attempting to influence his FBI director. Comey told the committee that he offered Trump repeated reassurances that he was not under an FBI investigation. After Comey’s dismissal, Trump met with Russian Foreign Minister Sergei Lavrov and Sergey Kislyak, the Russian ambassador at the time, where he shared classified information regarding ISIS threats, the Washington Post reported. Trump told those officials that firing Comey – who he allegedly called a “nut job” – took “great pressure” off of him, The New York Times later reported. What’s so controversial about the investigation? Trump has been critical of Mueller, calling his friendship with Comey “very bothersome.” Multiple investigators on Mueller’s team face questions about their potential biases – and two were reassigned from the probe. House Republicans released a memo in early February 2018 that detailed alleged surveillance abuses used in the Russia probe. The memo, put together by House Intelligence Committee Chairman Devin Nunes, R-Calif., did “raise concerns with the legitimacy and legality of certain DOJ and FBI interactions with the Foreign Intelligence Surveillance Court and represent a troubling breakdown of legal processes established to protect the American people from abuses related to the FISA process,” it said. Trump said the memo “vindicates” him in the Russia investigation. But Democrats have dismissed the memo as “misleading,” saying it was released by Republicans in order to push the narrative that the probe is biased against the president. Weeks later, they released their own rebuttal memo, which defends the FBI and Justice Department. How did the Russian meddling allegations even begin? Before Trump took office, tens of thousands of emails from the Democratic National Committee and officials connected to Clinton were leaked. Those emails – released in July 2016 – purportedly showed the party favoring Clinton over Vermont Sen. Bernie Sanders and led to the resignation of party chair Rep. Debbie Wasserman Schultz. But more than just ousting Wasserman Schultz, intelligence officials concluded those responsible for leaking the emails were connected to the Russian government. In its assessment of the hack, the CIA concluded that Russia intervened in the election in order to help Trump secure the presidency.